Stones and beads add color, interest, and focus to jewelry. They can be used in earrings, necklaces, bracelets, brooches, and cufflinks. They can be the central part of the design, or they can be used to support and complement the primary design. Stones and beads come in all different sizes, colors, and prices. 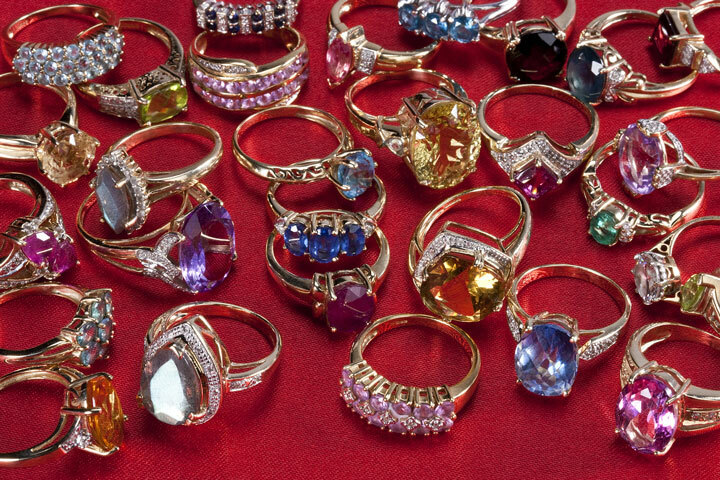 Precious stones include diamonds, emeralds, rubies, and sapphires. These stones are harvested from the earth, then cut and polished in different shapes to reflect the light. Types of cuts include brilliant cut, French cut, briolette cut, fancy cut, buff cut, and cabochon. Some experienced jewelers prefer to cut their own stones, enabling them to make exceptional pieces with very unique shapes and sizes. Stone quality is typically based on clarity and weight, which is measured in carats. It's rare to find precious stones without flaws, unless they are very expensive. Many stones today can undergo processes such as heat treating to remove flaws, but that will increase their price. Semiprecious stones include amethyst, citrine, coral, jade, jet, and lapis lazuli. Semiprecious stones come in all sizes, and can be faceted or non-faceted. 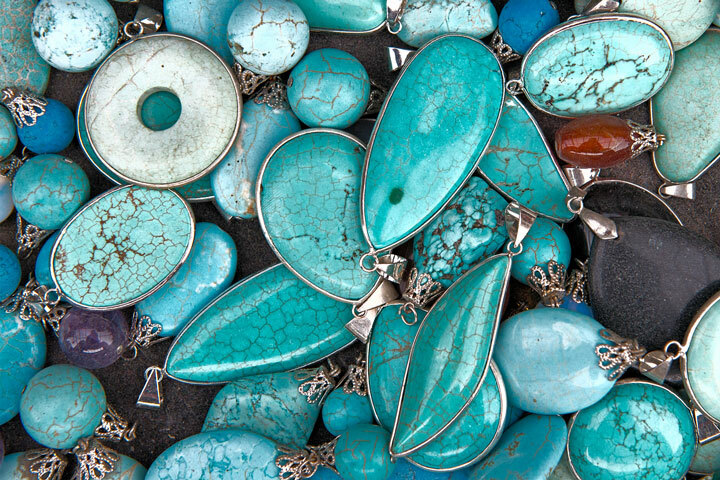 Some semiprecious stones are drilled with small holes, to be used as beads. In addition to beads made of semiprecious stones, there are many different types of beads made from man-made materials such as glass and plastic. The variation of color and designs makes beads a popular choice for jewelers.